4:24pm MST, 5:24pm local Bogota time: Youth in Bogota, Colombia find purpose and meaning at the local YMCA, financially supported by YMCA Calgary. This partnership helps them in finding shelter from the hardship of their tough communities. Every hour of every day, the YMCA is making a difference in someone’s life. Although most would consider the YMCA an organization focused on delivering local supports and services, the charity also embraces the opportunity to make an impact internationally. 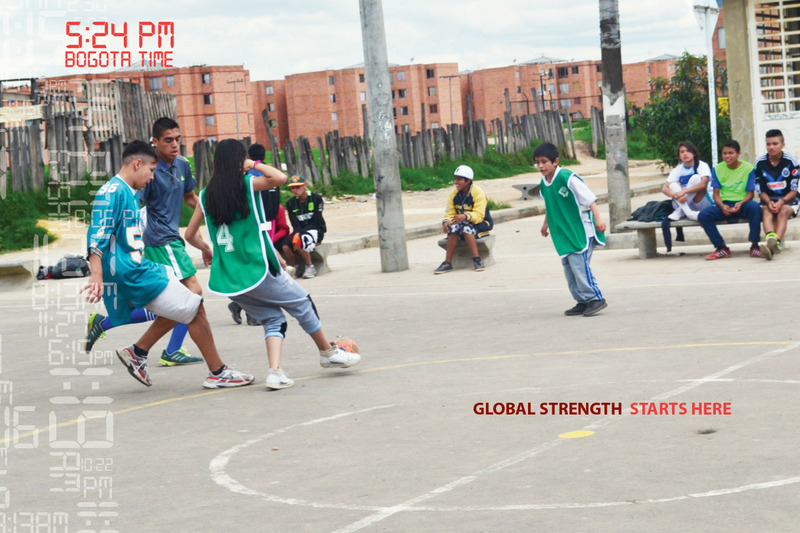 For YMCA Calgary, the partnerships are focused on two areas – Ukraine and Bogota, Colombia. For the past 39 years, YMCA Calgary has been an international partner of YMCA Bogota, our sister Association in that vibrant and challenging city. “The YMCA of Bogota is fully committed to the most vulnerable population in the city of Bogota, overwhelmed by poverty, violence and displacement,” says YMCA Bogota General Director Gloria Hidalgo. Harold Herrera is an example of the impact Hidalgo’s team is having every day. The 16-year-old high school student lives in fear that he or his family may be harmed due to gang activity in his neighbourhood. When a YMCA was built in the same neighbourhood, it offered youth a place to go – a safe-haven of learning and opportunity. As for Harold, he’s now looking past the problems, into the future.